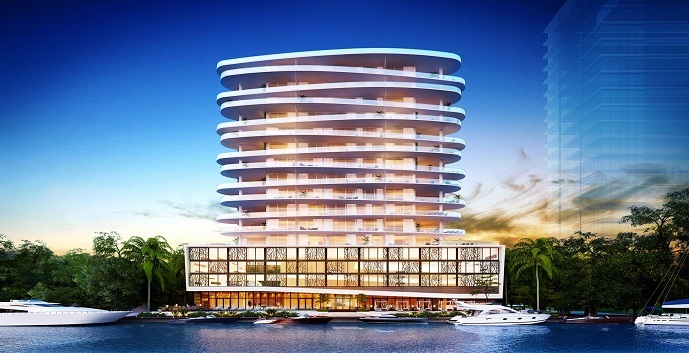 Aquablu is a stunning new condominium building in the heart of Las Olas will satisfy the most exclusive of buyers. 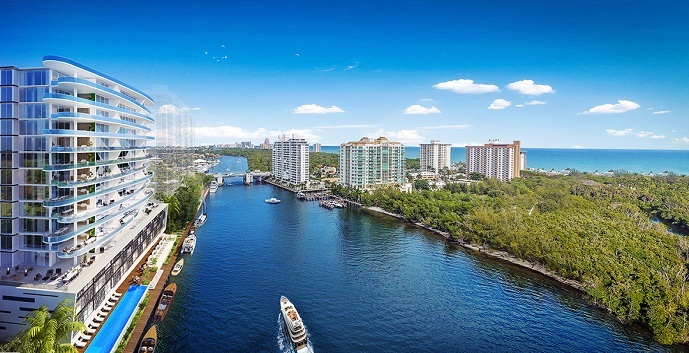 Located in the most sought after Las Olas section of Fort Lauderdale and situated directly on the intracoastal, this building offers both direct intracoastal and ocean views. 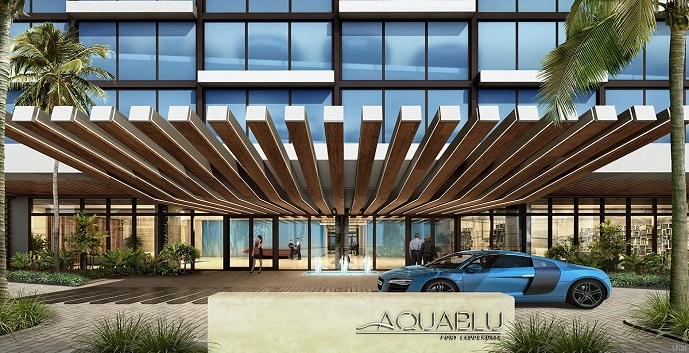 Aquablu will consist of only 36 luxury units spread across 16 floors. 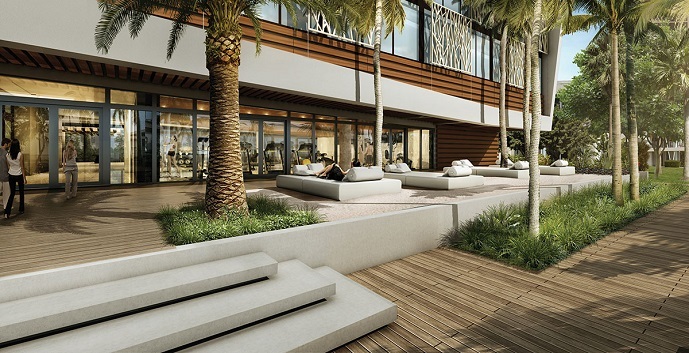 Units will range in size from 2500 sf to over 7000 sf with up to 4000 sf available in outdoor entertaining terraces. 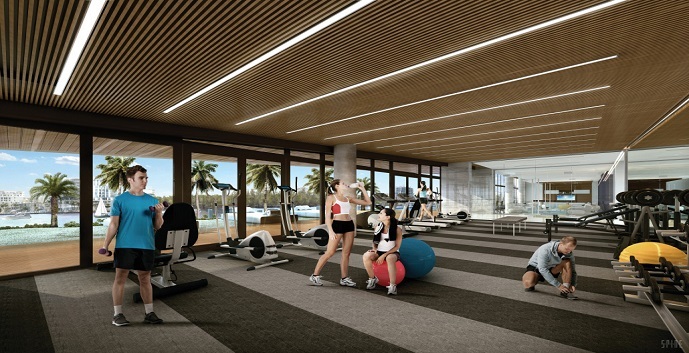 All units will also have amazing features such as floor to ceiling high impact glass windows, 2 garage spaces per unit and 24/7 video monitored security surveillance. 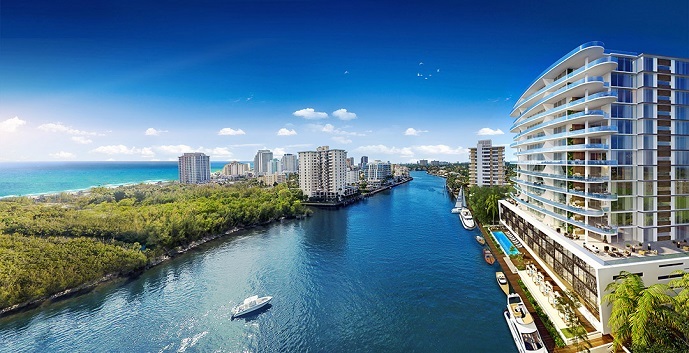 The property features a long list of amenities for residents to enjoy like a heated saltwater pool, state of the art fitness center and private boat slips. 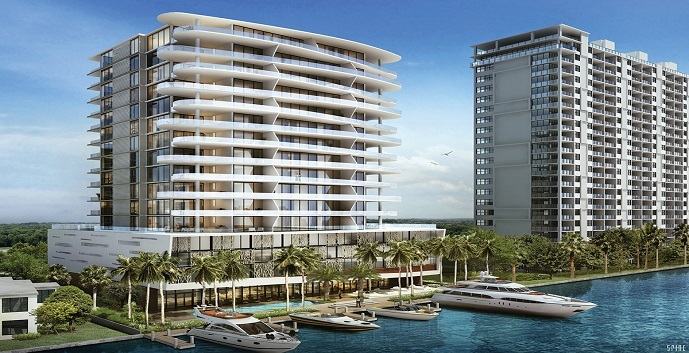 Aquablu offers 36 luxury style condos with 5 different models to chose from. 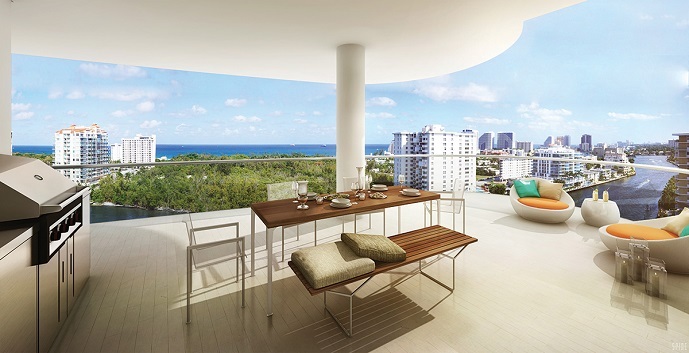 Azure - Floor 5, 3 bedrooms, 3 and 1/2 bathrooms, great room, family room, wine cellar, elevator and wrap around terrace. 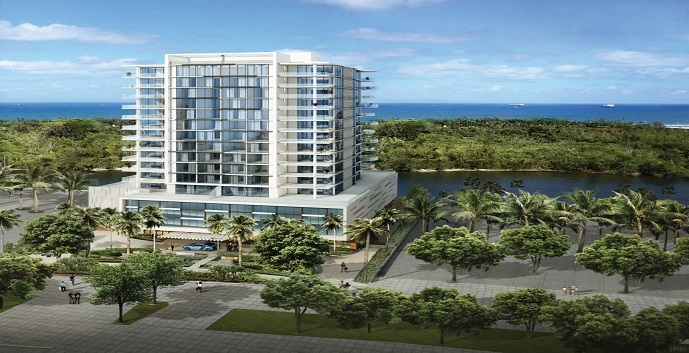 7,251 square feet. Call for pricing. 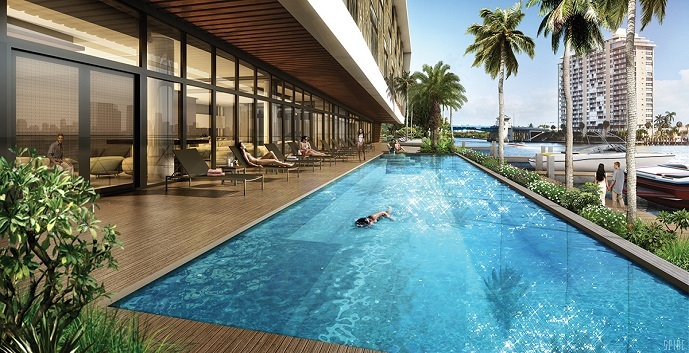 Indigo - Floor 5, 2 bedrooms, 2 bathrooms, den/3rd bedroom, great room, elevator and terrace. 2,172 square feet. Call for pricing. 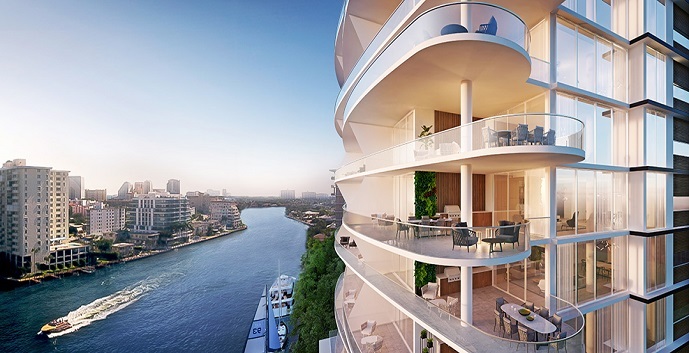 Sapphire - Floors 6 - 16, 3 bedrooms, 3 and 1/2 bathrooms, great room, family room, elevator and 2 terraces. 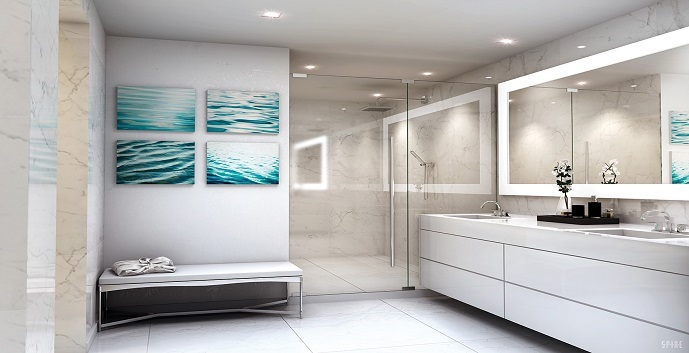 4,184 square feet. Call for pricing. 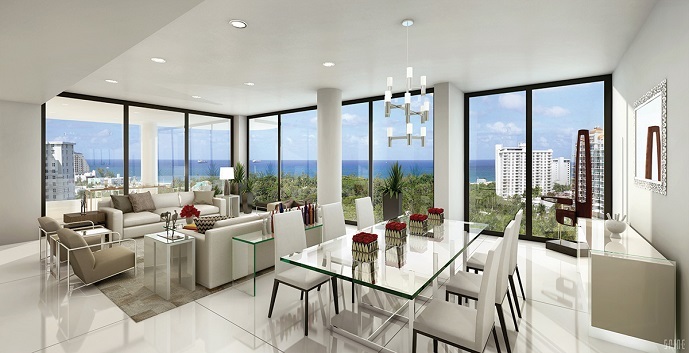 Royal (North Penthouse) - 3 bedrooms, 3 and 1/2 bathrooms, great room, dining room, family room, elevator and 2 terraces. 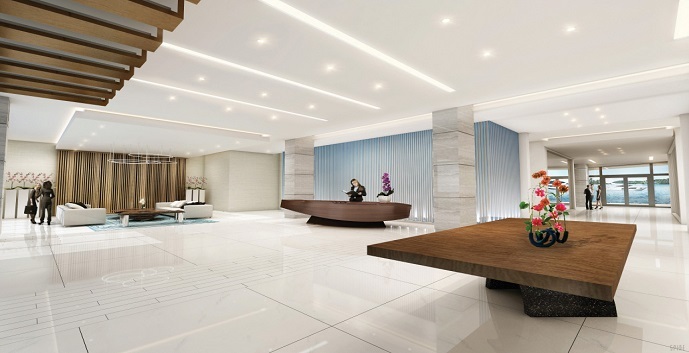 5,345 square feet. Call for pricing. 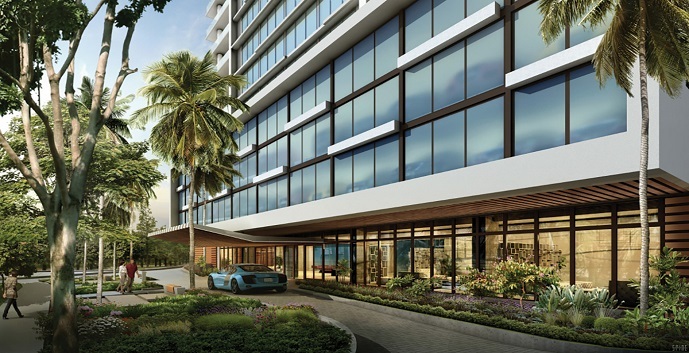 Oxford (South Penthouse) - 3 bedrooms, 3 and 1/2 bathrooms, great room, dining room, family room, wine cellar, elevator and 2 terraces. 5,345 square feet. Call for pricing.